To make a long story short: The Espro Press is a french press without the sediments. You make your french press coffee like you usually do, but thanks to two microfilters in stainless steel, the Espro Press only allow the tasty aromas and oils from the coffee to flow through, while holding back all the sediments. 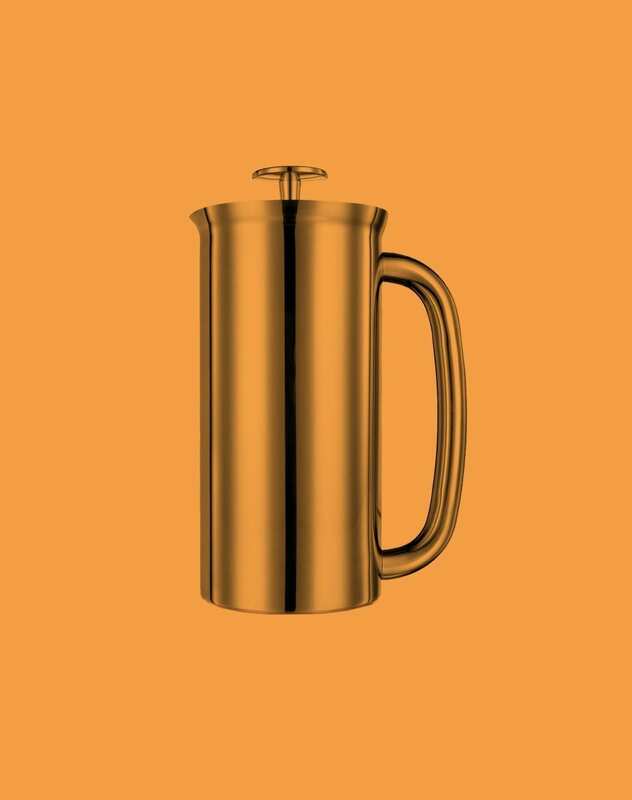 You get a extremely clear cup of coffee, that still has the rich taste that characterise the french press. 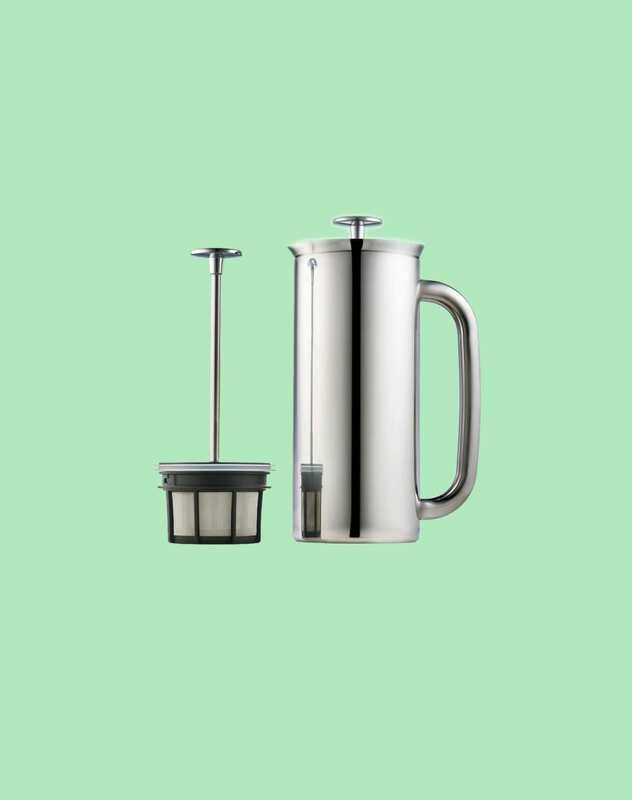 The Espro Press; a double walled stainless steel french press, with two layers of microfilters in steel. If you’re looking for an even cleaner, oil free flavour similar to the pour-over style coffee, we can recommend the addition of paper filters between the two steel microfilters. It comes in two sizes: Size M (0,5 Liters), and L (1 Liter).